We have a fabulous tutorial today to share with you from Rachel. 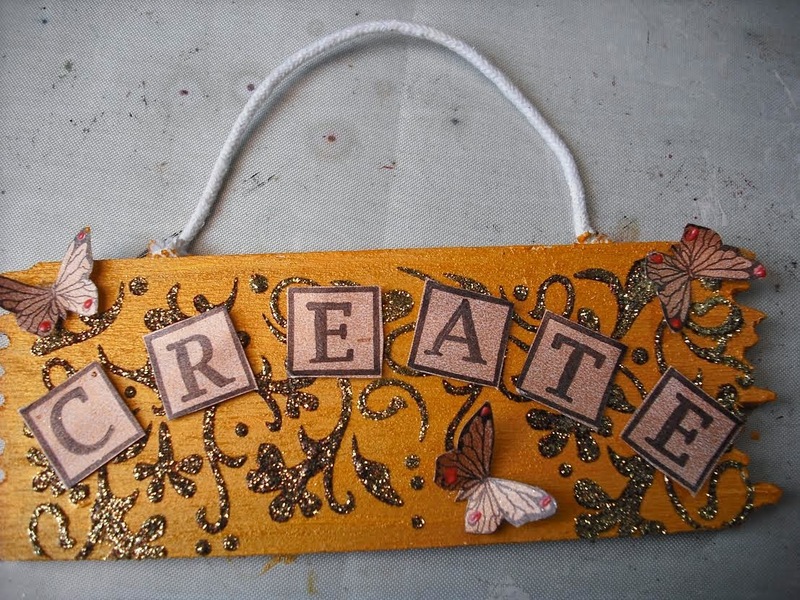 On a piece of card brayer brown Silkies and stamp the letters and butterflies then cut out and adhere to the sign. The products Rachel has used can be purchased on our website. How are you all keeping today? 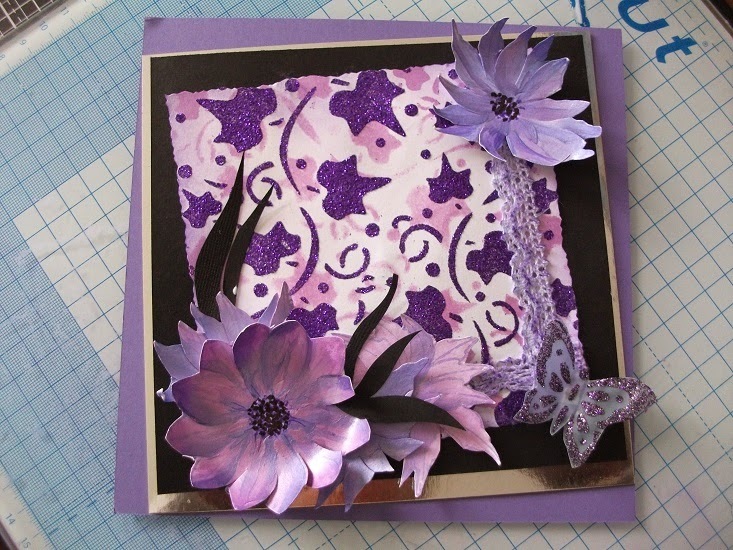 We are sharing one of Mags beautiful cards today with step by step instructions on how she made this and what products she has used. 1. Stencil Meadow Flower with lavender and sage green sparkle medium onto pink vintage panel card. 2. 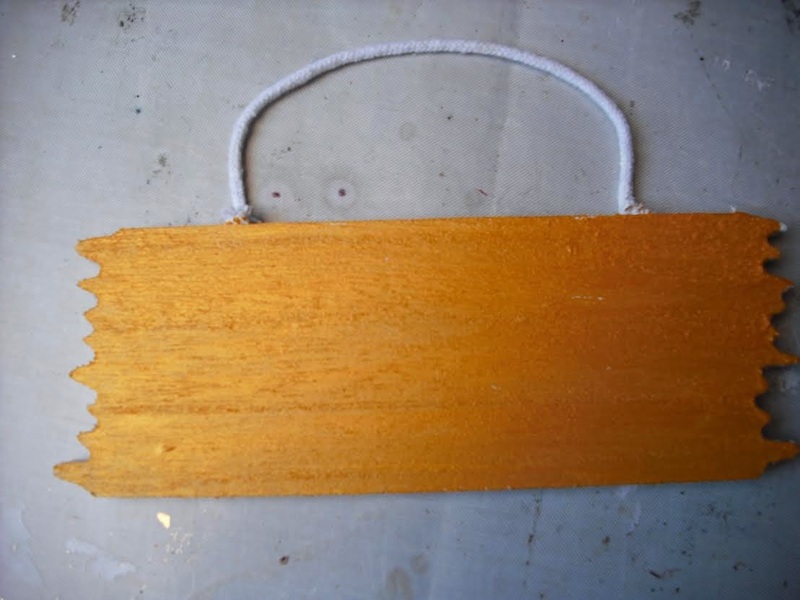 Whilst this is drying create the background. First layer is pale purple pearlescent card, second layer is dark purple card and the third layer is pale purple parchment paper. Punch down either side of the parchment paper with a border punch. 5. 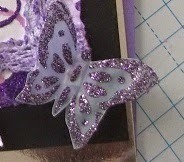 Make a sparkle medium butterfly using Martha Stewart Butterfly mould and add some pearls down either side of the punching. As from today we will be doing things a differently on the blog. The design team will be posting tutorials, hints and tips, and even a video or two will be making an appearance. We hope that you enjoy the new features and gain lots of inspiration. Today it is Christine's turn to provide some inspiration! 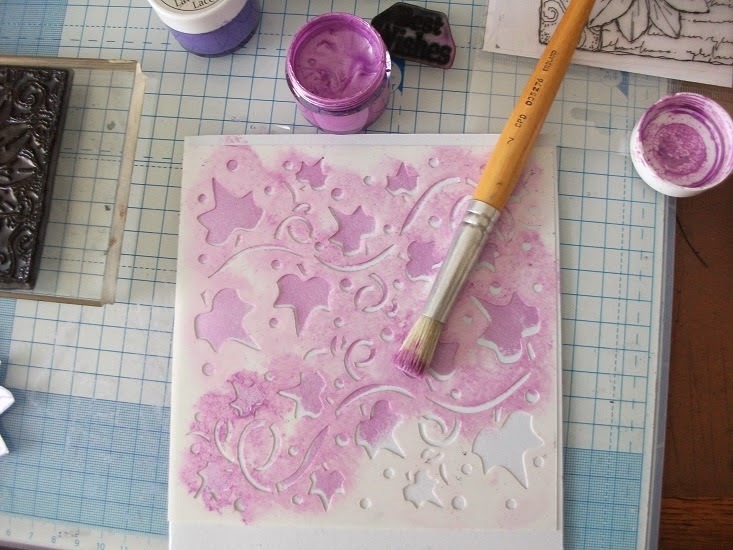 1.Using Imagination craft Silkies and the Ivy Stencil, stipple the paint through the stencil onto white card stock. 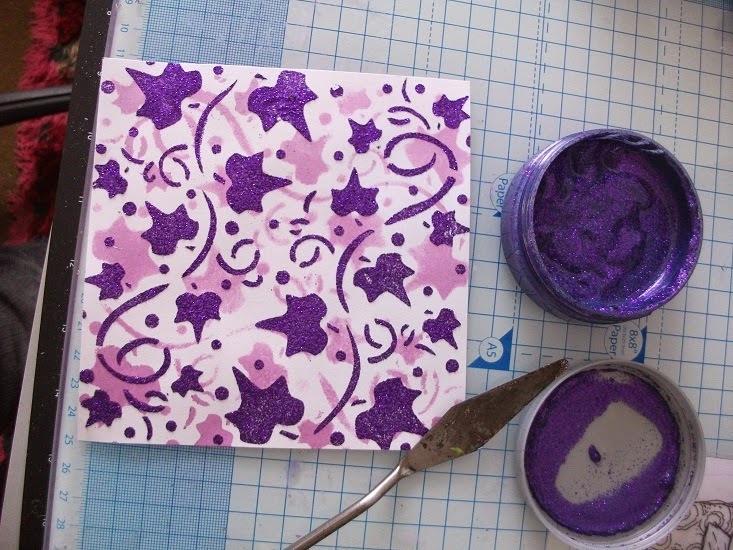 2.When dry, spread Amethyst Sparkle medium through the stencil at a different angle and let it dry. Mount this onto Black and then Silver cardstock. 3. 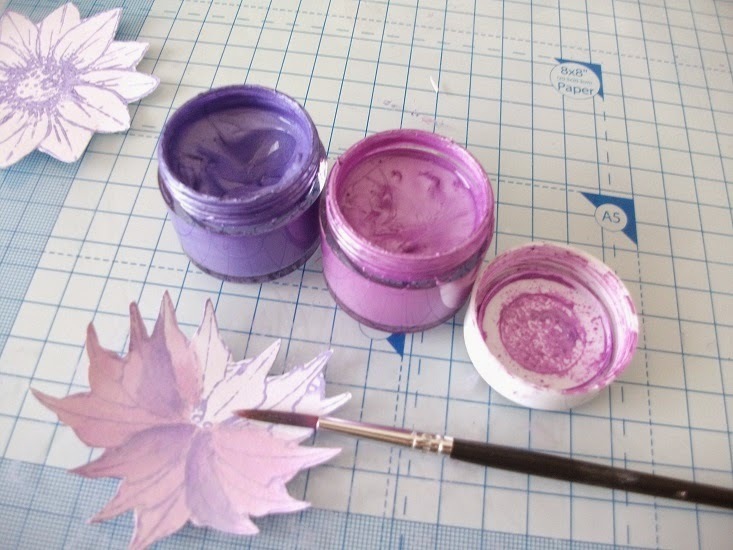 Spread “ Silkies” paint onto a glass craft mat and ink up the Daisy stamp 4 times by pressing the stamp into the paint. When dry point the petals on 3 of the images using scissors. Paint these with the Silkies paint. Use 2 colours for a vibrant effect – I used a Pink Base colour then added shading with purple. 4.Add these flowers to your card bending the petals upwards (this enables the Silkies paint to catch the light). Cut one or two flowers in half to add behind the main flower on the left. Add hand cut black leaves behind the flowers. Place another flower top right. Colour in the flower centres with black pen. 6. 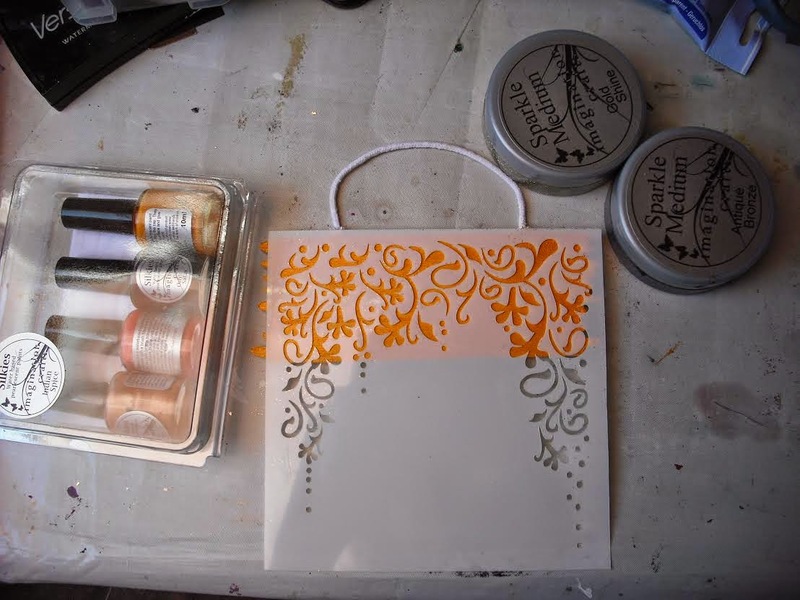 Ink up a “Best Wishes” stamp with Silkies paint and add to the top middle of the card to finish.